PZL-Świdnik, an AgustaWestland company, is pleased to announce that the last two of eight Sokol helicopters have been delivered to the Philippine Air Force. 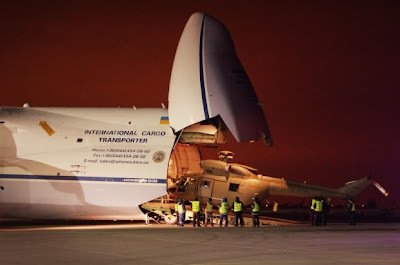 The Sokols were transported from Lublin Airport to Clark Air Base near Manila on board an An-124 Ruslan large cargo airplane. The two Sokol helicopters follow the six aircraft delivered to the customer last year. This is the result of a contract signed in 2010, which included eight Sokols. “It gives me a great pleasure to complete the handover of the Sokol helicopters produced in Świdnik to the customer. The delivery from Lublin Airport is an important milestone and for sure in the future we’ll cooperate further with Lublin Airport in connection with PZL-Świdnik operations”, said Nicola Bianco, Managing Director, PZL-Świdnik S.A.
Sokol helicopters, which have been in service with the Philippine Air Force for several months, have proven to be highly effective and reliable helicopters capable of operating in the most demanding conditions. 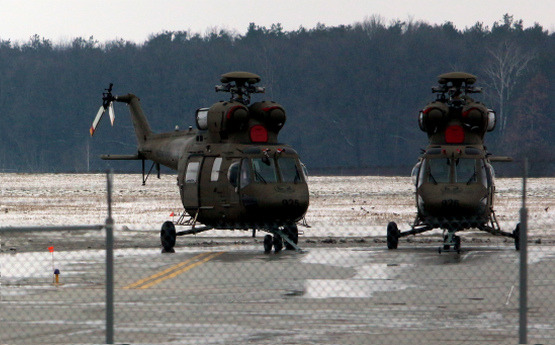 The helicopters are being flown by pilots trained at the PZL-Świdnik factory. “I’m pleased that the excellent operational capabilities of the Sokols are greatly appreciated by the Philippine Air Force. I look forward to expanding our close partnership with the customer in the future providing technical support and ongoing operational support for the Sokols”, added Mieczysław Majewski, President of PZL-Świdnik’s Management Board. The Philippine Air Force’s Sokols are equipped with the latest navigation and avionics systems including 4-axis autopilot, EFIS system and Night Vision Goggle compatible cockpit, allowing to operate day and night in all weather conditions. This 6-tonne class helicopter can transport up to 11 troops in the cabin or can lift up to 2,100 kg (4,630 lb) using its external cargo hook. Powered by two engines, each with the take-off power of 662 kW (888 shp), the Sokols reach the maximum speed of 260 km/h (140 knots), can fly 734 km (402 nm) or stay airborne for over 4 hours using its standard fuel tanks. With over 60 years of experience and having produced over 7400 helicopters, PZL-Świdnik is the only Polish OEM with the capabilities to undertake helicopter design, research & development, system integration, manufacturing, support, training and upgrades. PZL-Świdnik has been an AgustaWestland company since 2010.